Homemade Russian Dressing is a delicious dressing for sandwiches and invented in America. I was unsure if I read right in my first search about Russian dressing being invented in America so I kept checking my data. Wikipedia confirms that the Russian dressing was developed in the USA, Nashua, New Hampshire, by James E. Colburn, likely in the 1910s. Russian dressing is unknown in Russian Cuisine. Of all the dressing that I made for USA cuisine, namely ranch dressing and pickle relish I liked Russian dressing the most. I think because it has a sharp taste. 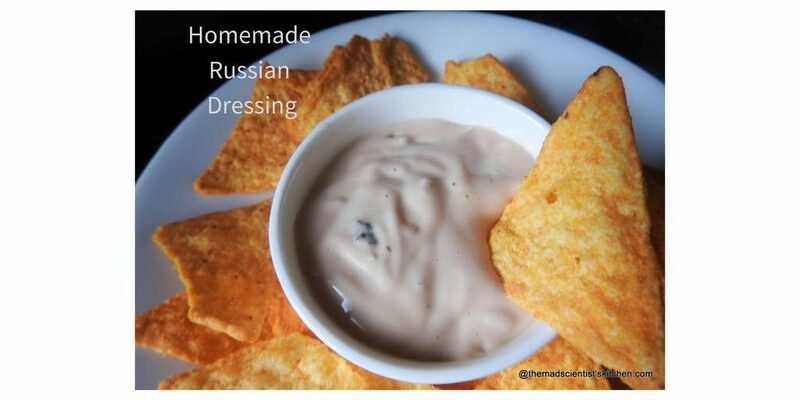 Hubby too liked Russian Dressing to Ranch dressing so I guess Russian dressing will get made more often.Russian dressing and Thousand Island dressing are variations of one another. 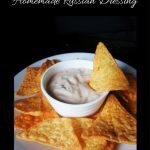 For Russian dressing, the main ingredients are mayonnaise, ketchup, and additional ingredients as available are horseradish, pimentos, chives and spices. I have however used homemade pickle relish, lemon juice and Worcestershire sauce along with salt and pepper. Russian dressing is served in a salad but we had it as a dip for nachos. In case, you want to store it transfer to a covered airtight container and store in the fridge for about week. A delicious sauce for your sandwich. 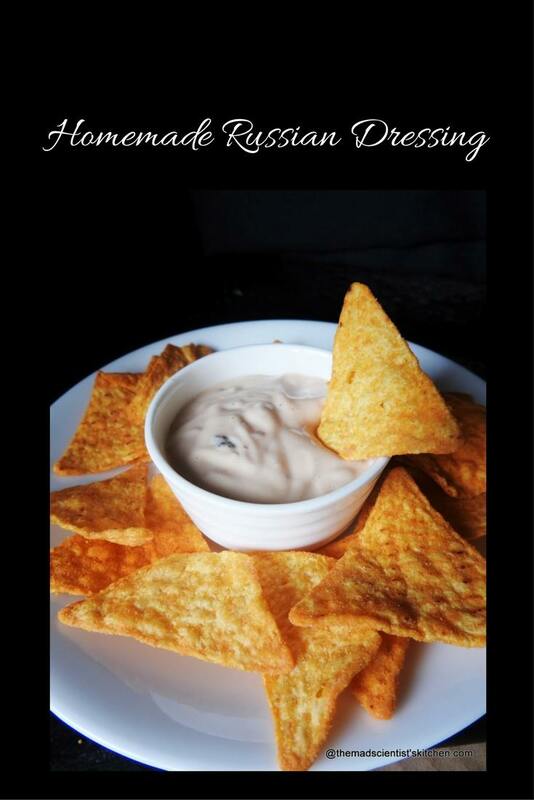 Russian dressing is served in salad but we had it as a dip for nachos. So delicious, am in love with this super tempting russian dressing. Everything in the dressing sounds super tempting. That is such a creamy and delicious looking ranch dressing. That’s just like some types of Chinese food being invented in India 🙂 The sauce looks very tempting. That is such a creamy dressing. 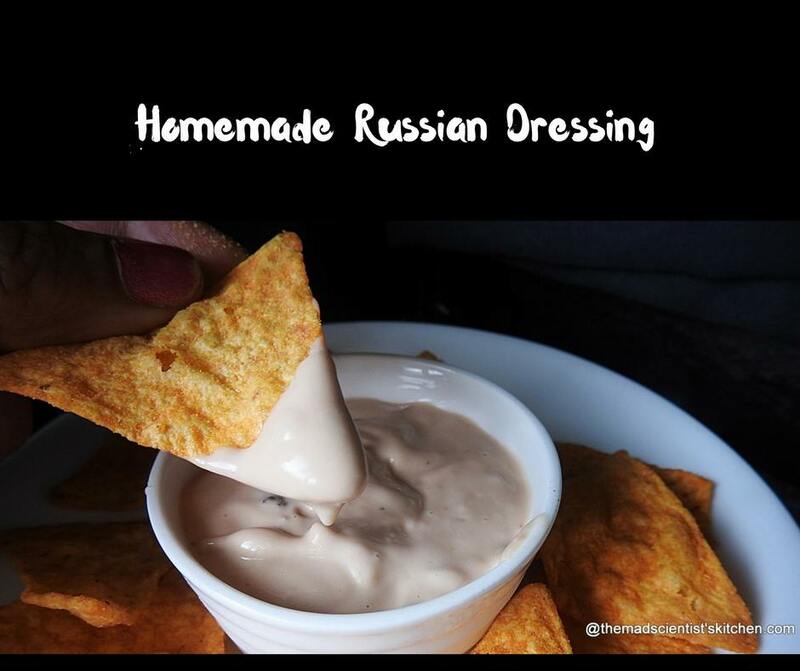 What an interesting dressing this is and good research on the origin of the Russian dressing. It is good to have a variety to get those greens in our diet. The dressing sounds perfect with any snack , specially some kind of chips ! I am loving that platter . Seems like a versatile sauce. Great share. Love the clicks. I guess this dressing is like our Manchurian recipe that is never seen in the original Chinese cuisine! Anyway, everything that went into this Russian dressing sounds delish! Ingredients for this recipe is sound interesting.. yummy dressing..
OMG This looks amazing and super tempting.. Dressing sounds so flavourful ! Lovely recipe to make a jhatpat dip.. it goes well with fish fingers, crab cutlets too. Perfect! You are absolutely correct.